OK. That was fast. 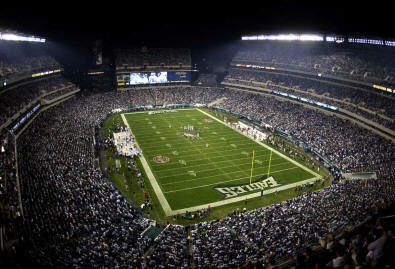 Last year we reported that "Max and David's was prodiving Kosher Food at Lincoln Financial Field for Eagles Games" in Philly. Well, no longer. 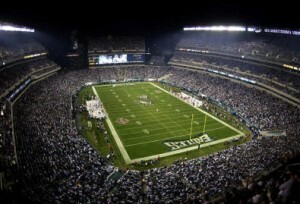 Good news is, Kosher food is still available via stands run by Keep It Kosher LLC, with a Kof-K hechsher (the website is pretty awful – but we have received personal testimonials that they are in fact already there for Eagles preseason games). Keep It Kosher also provides the kosher food stands at Newark, NJ's Prudential Center, where the New Jersey Devils play. 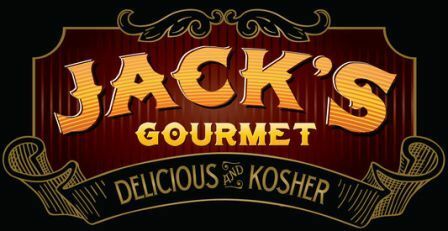 Keep It Kosher stands serve delicious sausages from Jack's Gourmet (@JacksGourmet), which I highly recommend.